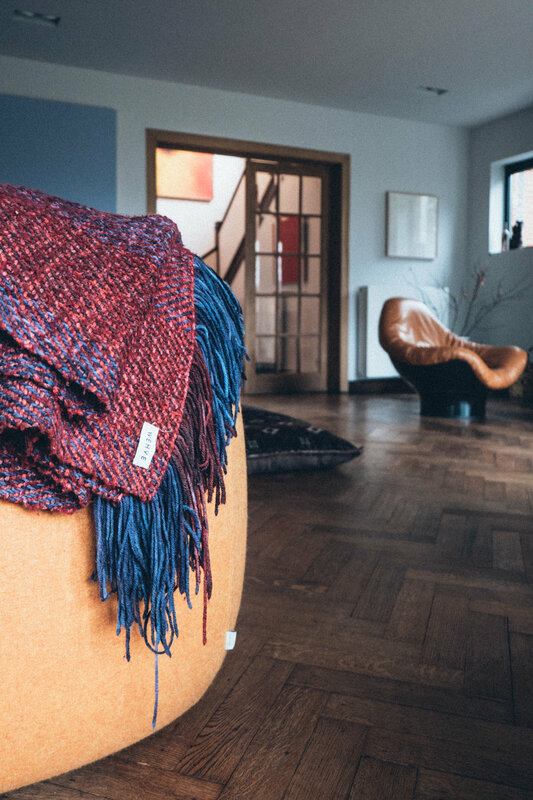 Gesine came back from Uruguay with a passion, sustainable wool and beautiful pieces, and Wehve was born. She lives in Brussels, surrounded by her family, heirloom pieces and beautiful art. Not a minimal white house for Gesine, she prefers real pieces with soul and a home that's lived in. I love a personal approach and not just buying art for showing it off without the story.